I have a dilemma. 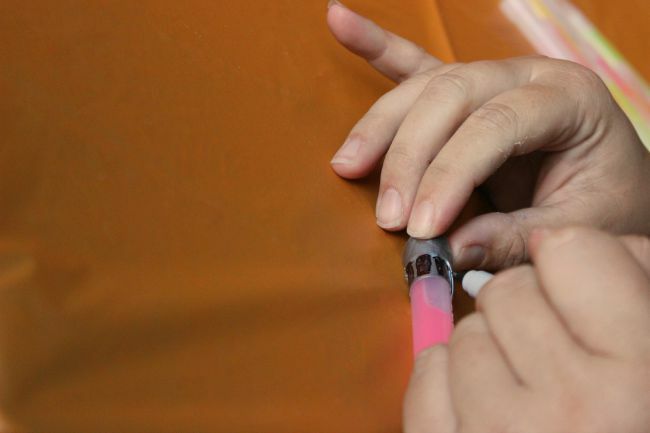 I really LOVE going over-the-top for my children’s birthday parties, but I usually don’t have the time, patience, or skills to do it all myself. And I definitely don’t have the money to hire someone to do it for me, though that would be so nice. 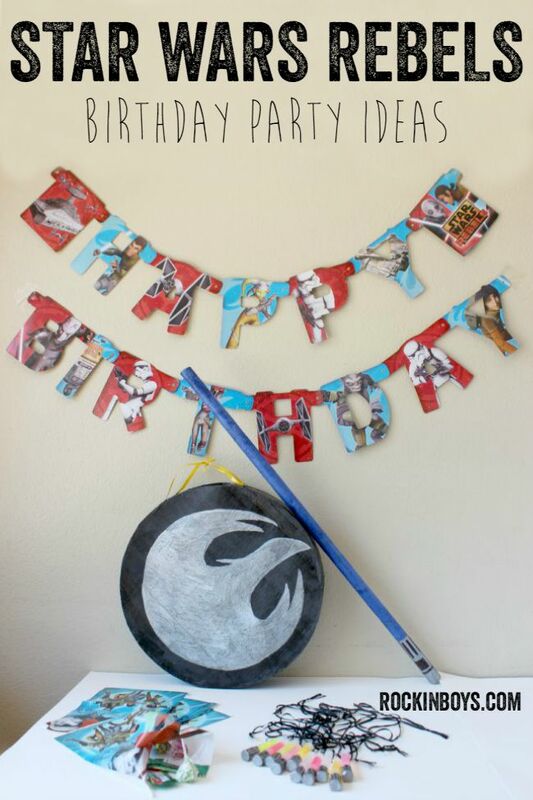 To celebrate Morgan, the youngest Rockin’ Boy’s third birthday this month, I took advantage of some of the awesome Star Wars Rebels party decorations from American Greetings in Walmart. Morgan, who loves all things Star Wars of course, is definitely quite the rebel, so the theme fits perfectly. His birthday kind of snuck up on me this year, it was July 13th! Luckily, I was able to throw this together fairly quickly and easily. 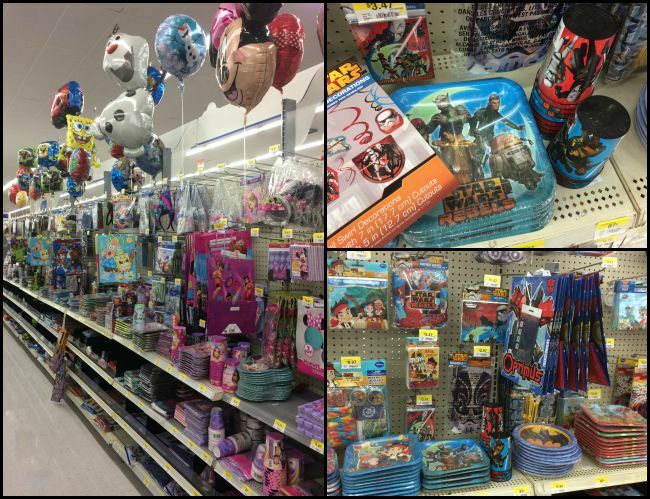 All of the Star Wars Rebels Birthday Party Supplies are affordably priced, so you’re not spending your entire savings on one child’s birthday party. I like to grab some basics to help pull the theme together, like plates and cups, a banner, and some treat bags. 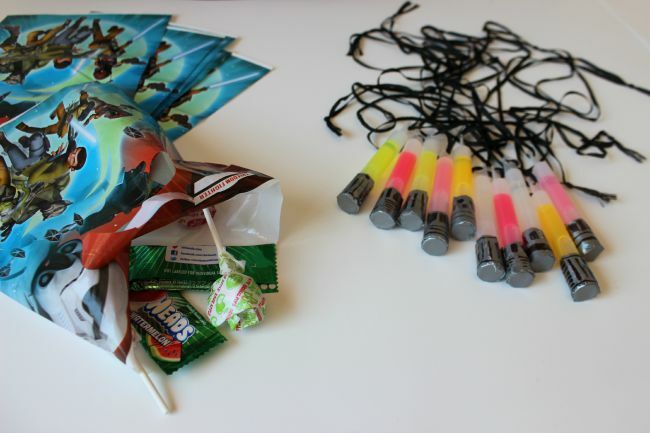 Then I fill in the spaces by making my own piñata and some other goodies, as well as the snacks and cake of course. I’m not a fan of making goody bags. Don’t get me wrong, I can’t let my guests leave empty handed, but I want to make them work for it. And that’s why any time I have a party, there’s going to be a piñata. If I have the time to make it, I much prefer doing it myself. They usually run about $20 and up in the store, and for something that’s going to get destroyed in seconds that’s more than I like to spend. My mom always used to make piñatas for my birthdays, and we’d spend days doing papier-mâché on a balloon and then decorating it. DAYS. But I figured out how to crank one of these bad boys out in just a few hours, and for only a few dollars. 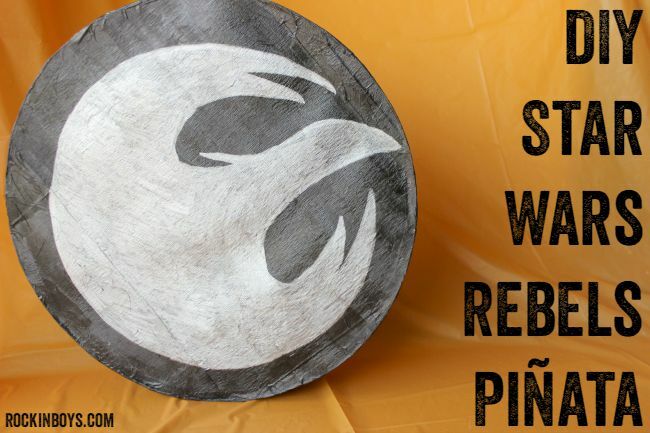 For the Star Wars Rebels theme, I decided to go with a simple circle shape, and then decorate it with the Star Wars Rebels insignia. And of course, you can’t have any old hitting stick, so I took ours and turned it into a pretty awesome lightsaber. Here’s how to do it. 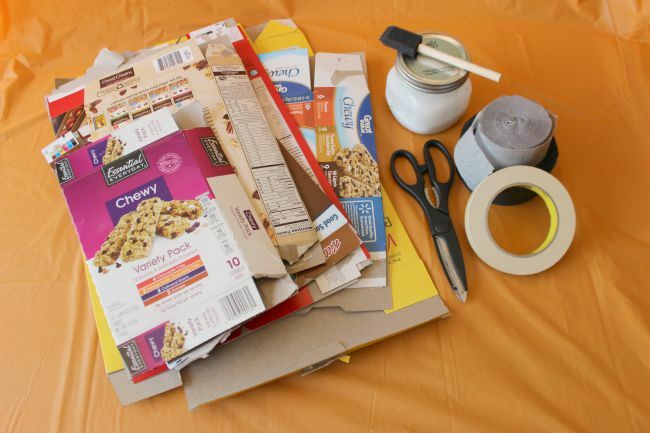 First, gather your supplies and cover your work space, aka kitchen table. I keep a stock of $1 plastic tablecloths just for crafting. They’re big so I can spread out, and when I’m done I just bundle all of my garbage and mess up together and toss it in the garbage. Wish I could do that for the rest of my house! 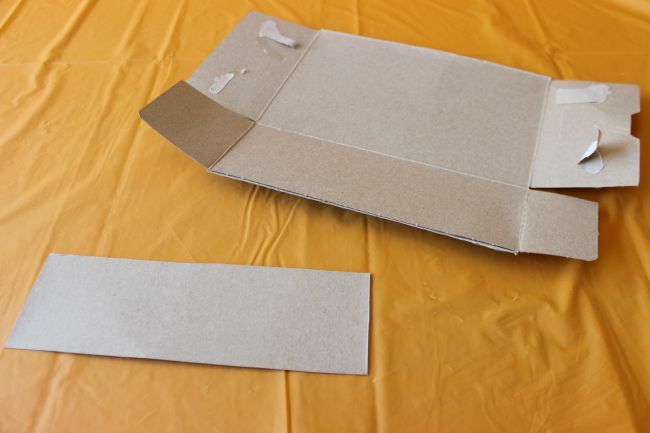 The base is made with regular cereal boxes, or similar boxes. Just save a few in your pantry, or ask friends to save them for you. Depending on the size, you probably only need like 4 or 5 boxes, max. 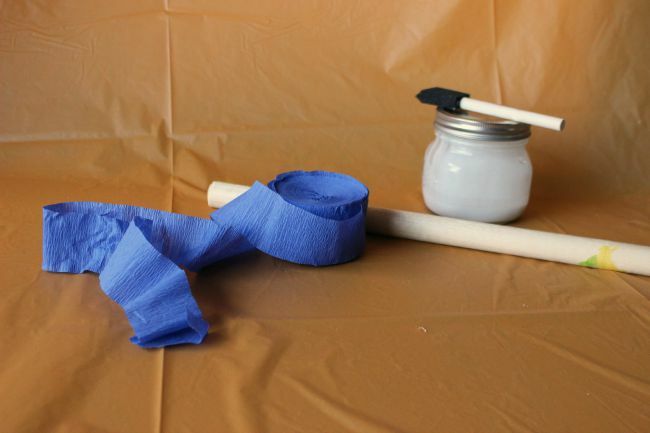 You also need crepe paper, scissors, watered-down glue (1 part water to 2 parts glue), ribbon (not pictured), and masking tape. One time I used duct tape and the kids couldn’t break it. So, masking tape is a better choice here. 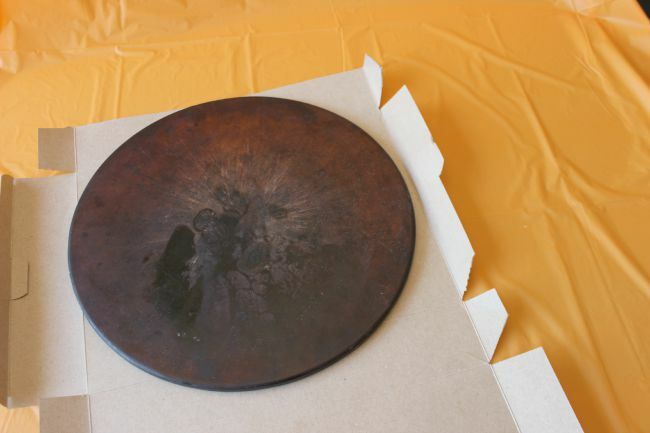 Our pizza stone was the perfect size to make a big circle. If you have one, use that thing! 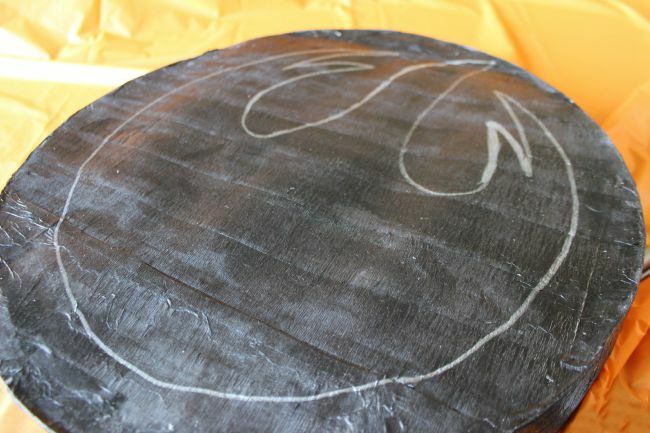 Otherwise, find something else that’s a big circle, or even freehand it. It does NOT have to be perfect. Children are going to smash it into oblivion after you finish it. Trace and cut out. Twice. 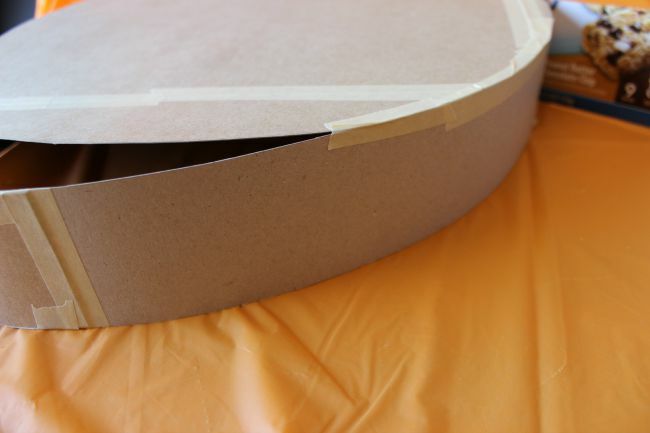 If you don’t have big enough boxes, cut them apart and tape them back together. Also, tape the seams. 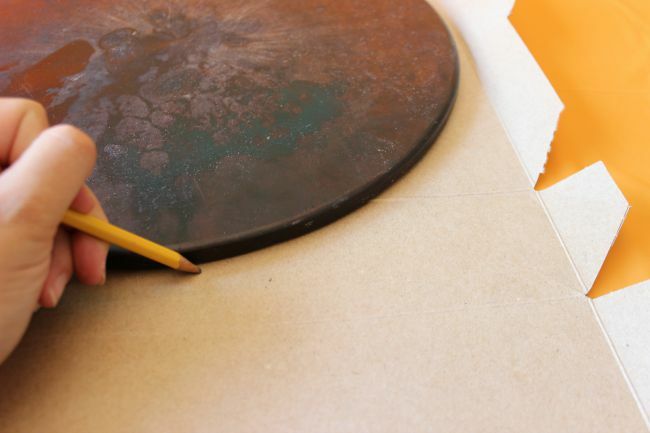 It will help your circles lay more flat and just look better overall. 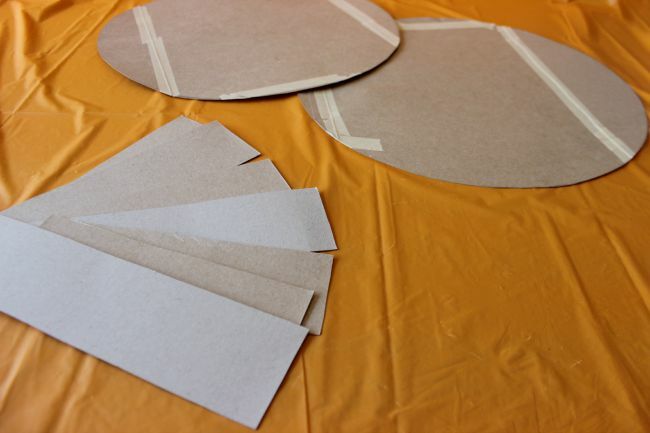 For the sides, cut out strips of cardboard. 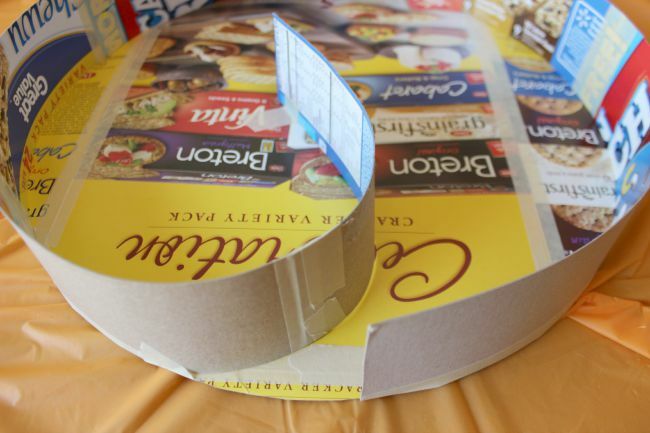 I used the sides of one of my granola bar boxes and then cut more strips to match that width. You’ll want it to be between 2 and 3 inches wide so the candy with fit nicely. You need a lot of strips. 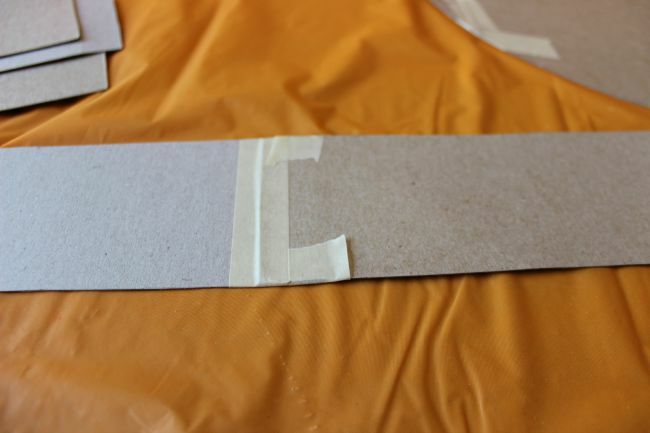 Now overlap two strips a little and tape the seam on both sides. Repeat until you have a long strip, slightly longer around than your circles. This next part is probably the hardest. 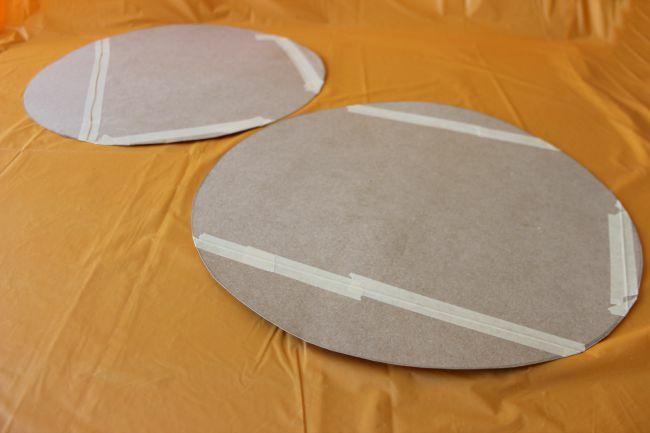 You’re going to tape the strip against the side of one of the circles, perpendicular. Remember, printed side IN! Here’s another picture of that step. Don’t go all the way! 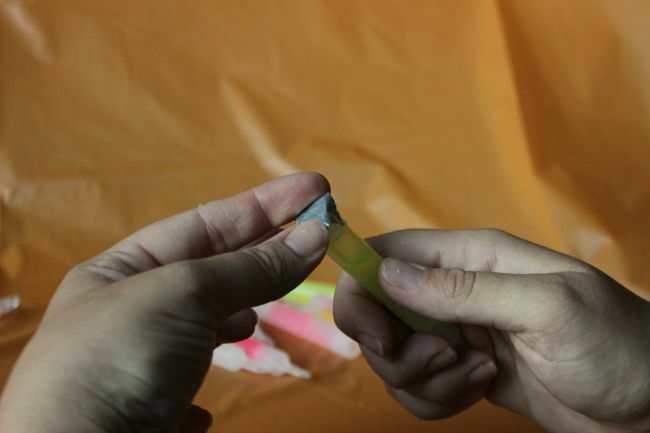 Leave a space for candy, and then fold the rest inside and tape it in the middle. 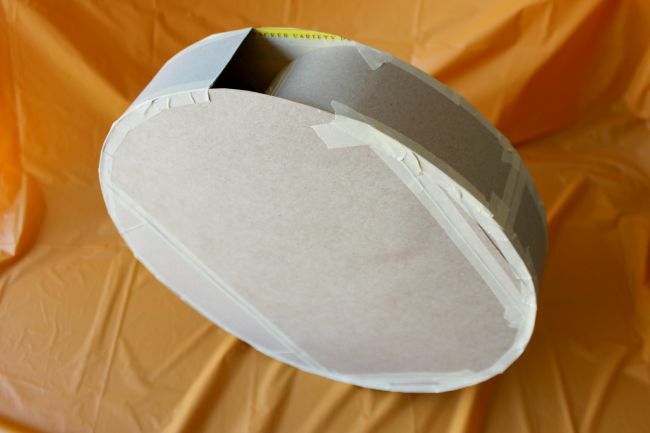 This will help keep it from collapsing, and will also make it easier to tape the second circle on. Now put the second circle on and tape all around it. You have your base!! 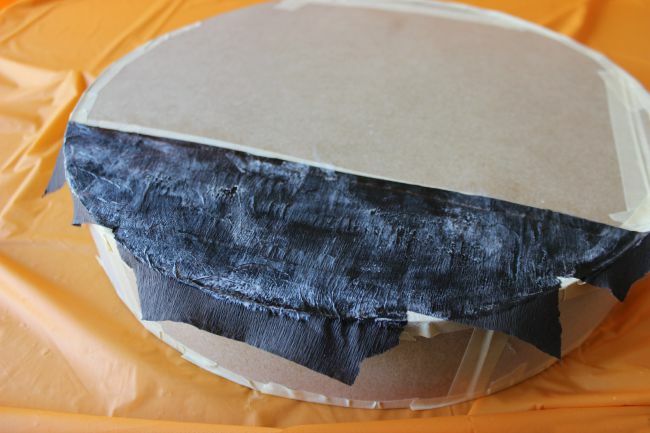 And layer your crepe paper, overlapping a tiny bit between each piece. 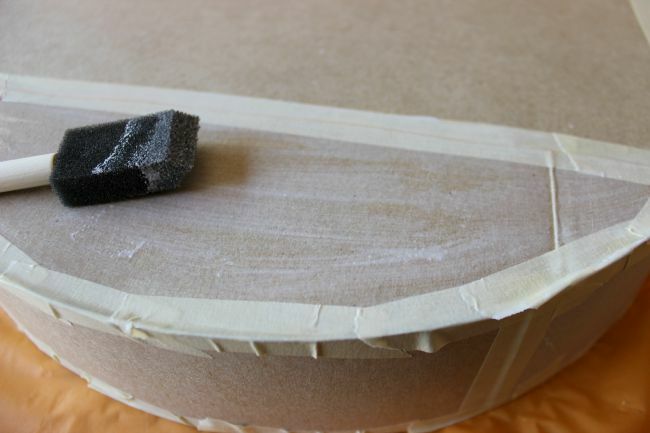 Cover the top with more glue as well. You can let the ends hang off. We’ll fix that later. Once you finish one side, you can add the ribbon. 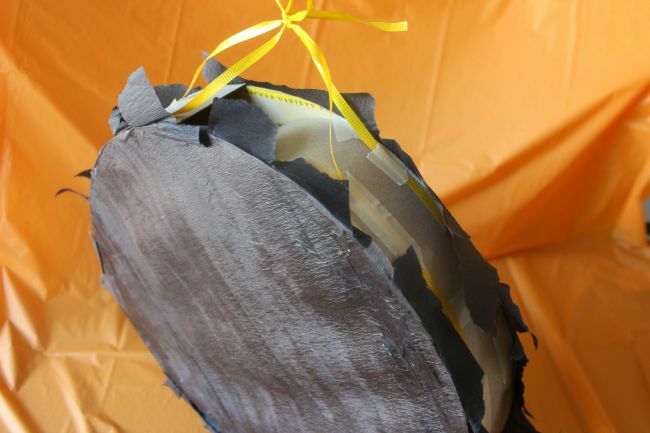 I prefer to wrap it around the piñata, rather than poke holes in it, because it’s less likely to fall before being broken. 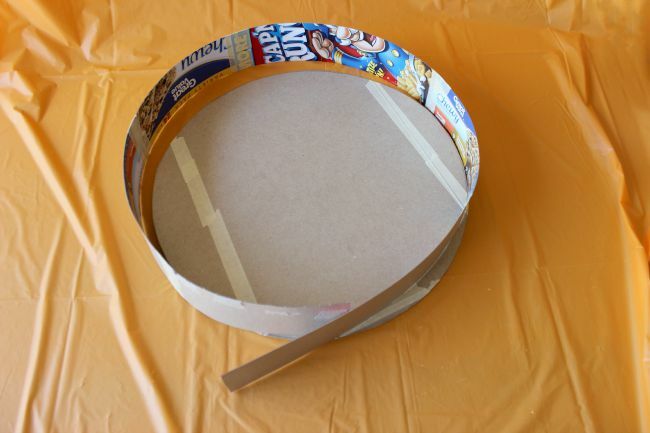 Cut two lengths of ribbon, slightly longer than the circumference of your circle. 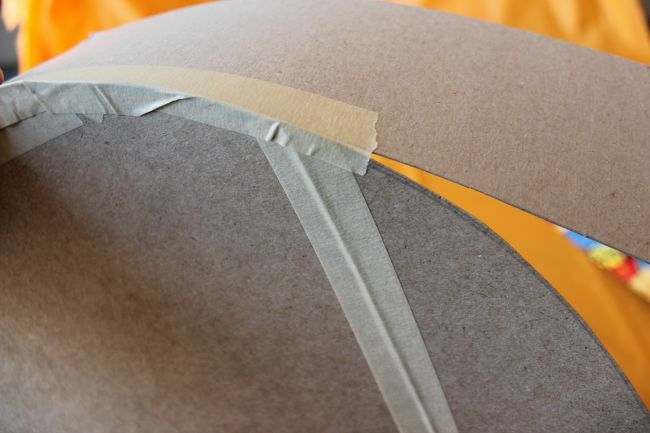 Tape them around the sides. Then tie the ends all together. I’m not great at tying things, so it doesn’t look pretty, but it gets the job done. Now you can cover the other side of the piñata. Okay, let’s fix the sides now. 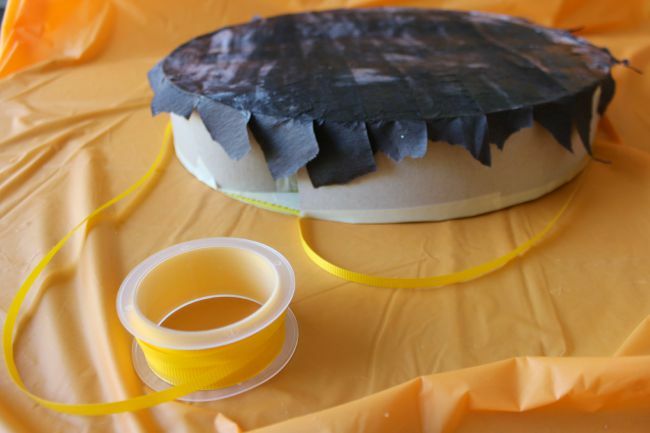 Glue down all the ends, then cover with more pieces of crepe paper and more glue. You should have a nice circle now. 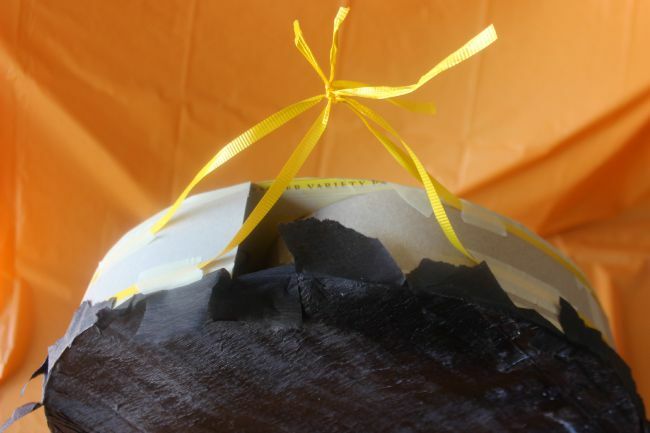 I was originally going to try and decorate it with more crepe paper, but I changed my mind mid-project. I love it like this. All you need to add is the Star Wars Rebels insignia. I looked at a photo of it online, and then just free-handed it onto the piñata. I am NOT artistic at all, but if you have trouble, you can try printing it out and tracing or even gluing it to the piñata. I filled it in with a metallic sharpie, and the last step is to fill it with candy. You want to let it dry overnight, though. You can totally do this the day before the party if you’re a last minute person like me. Up next is the lightsaber piñata stick. 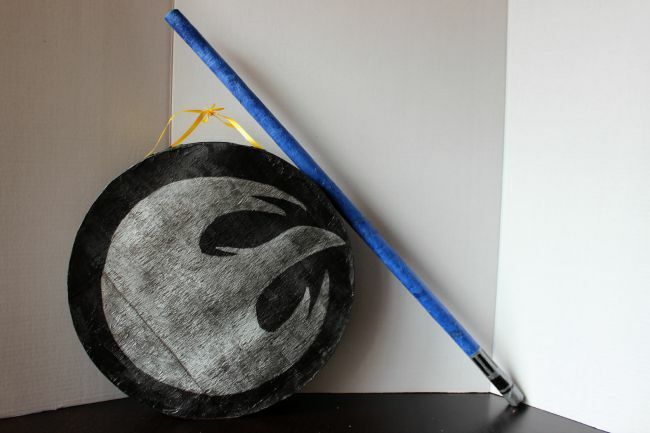 Of course, no regular piñata stick will do for this awesome Star Wars Rebels piñata. 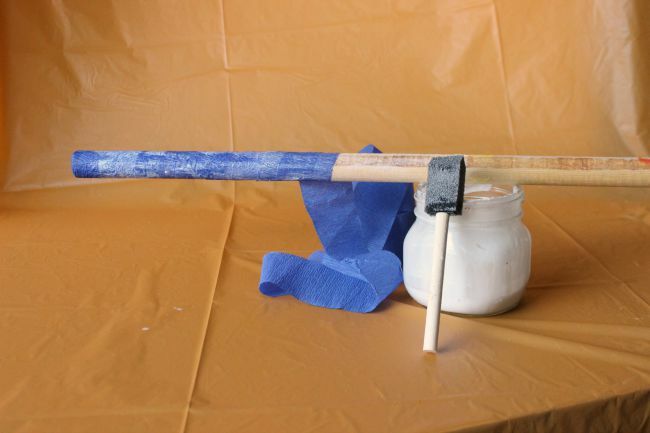 I used an old piñata stick we already had, but you can grab a thick dowel from the hardware store for the same effect. Have them cut it to about two or two and half feet long. 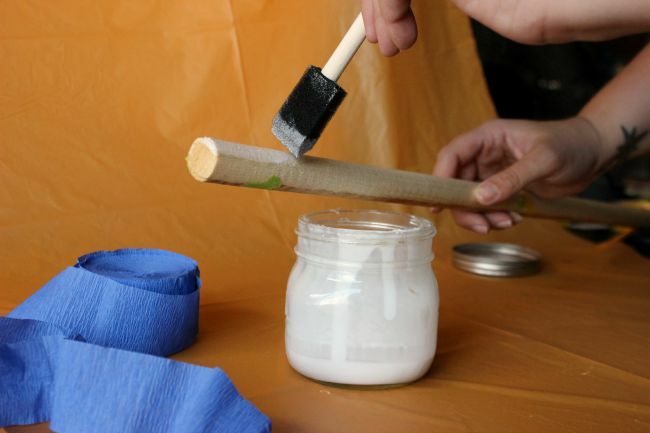 You’ll also need your glue mixture, crepe paper in your choice of color (if you have a little Sith, they might prefer red), duct tape, and a sharpie. 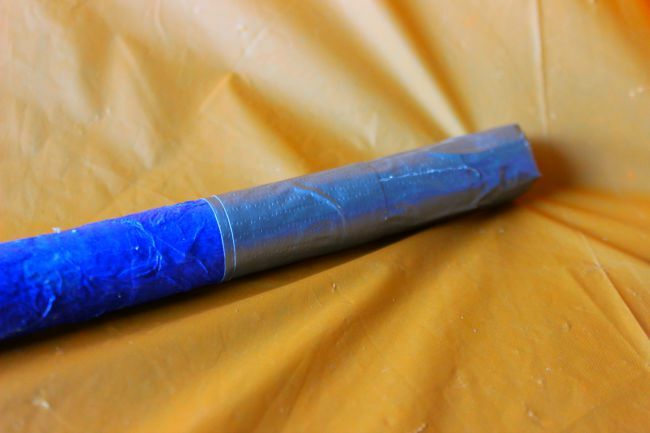 One small section at a time, coat your stick with your glue mixture, then wrap the crepe paper around it, then add more glue on top. Continue all the way down, leaving a few inches open at the end. 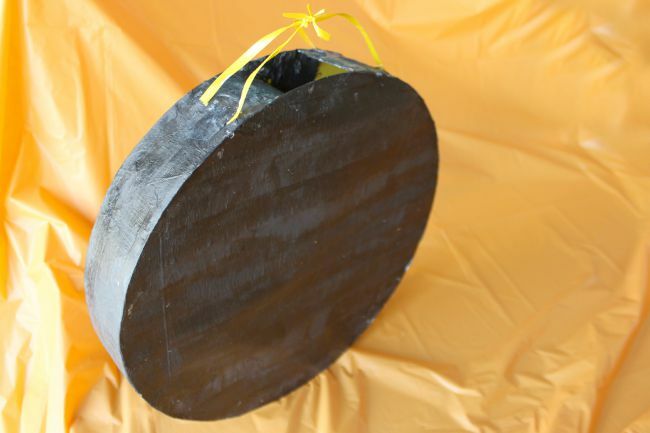 Cover the open end with silver duct tape. Let dry overnight. 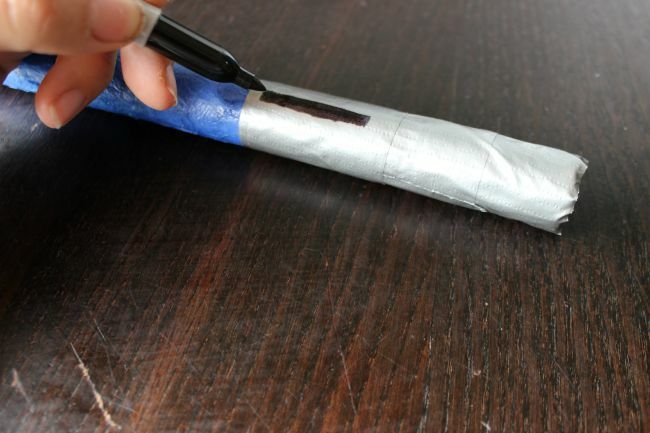 Add a cool lightsaber handle design with a sharpie and your piñata stick is ready. Besides a treat bag full of piñata candy, I like to give our party guests some kind of small token to leave with. 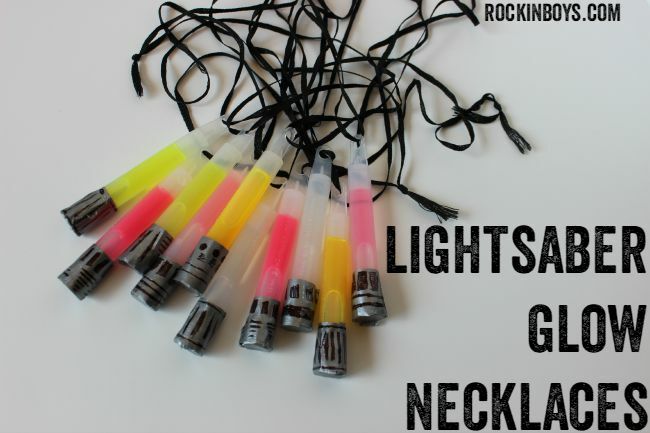 I thought some lightsaber glow necklaces would be a fun little thing to take home. 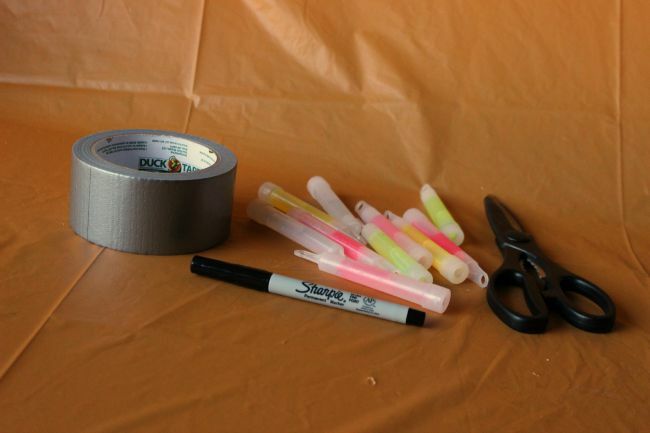 I grabbed a pack of regular glow pendant necklaces and covered the bottoms with a small amount of duct tape. You’ll have to cut the tape a bit. You don’t need much. Add a design to the tape with sharpie, tie on the string, and that’s about it. They can play with them at the party, or you can drop them in their treat bags as they leave. What was your favorite birthday party theme? Check out more party ideas by following the #BDayOnBudget hashtag on Instagram and Twitter! I am very disappointed in Walmart party supply aisle. They carry NOTHING pertaining to FIRE FIGHTERS OR POLICE OFFICERS. One Customer Service lady DID NOT KNOW WHAT A FIREMAN/FIRE FIGHTER WAS. I think it really varies by store. The one closest to my house has an amazing party section. Another nearby has barely anything.